Today, Electronic Arts and DICE revealed the list of weapons, gadgets, and vehicles appearing in Battlefield V at launch. With 30 primary weapons, 7 sidearms, and 9 melee weapons, 16 gadgets, and 24 vehicles the initial arsenal sounds decent. You can read all about them here. Many guns should be intimately familiar to Battlefield 1 players considering roughly half of them appeared in that game as well. But when you start to dig into the details, there are some interesting omissions. Two of the weapons most associated American forces during the war – the M1 Garand and BAR M1918 – are nowhere to be found. This shouldn't be too surprising since EA previously announced the game is launching with only the British and German factions. DICE plans to add more factions (and presumably weapons) as it rolls out new theaters of war in its Tides of War post-launch campaign. Battlefield V releases on anywhere from November 9 to November 20 depending on what version you purchase for PlayStation 4, Xbox One, or PC. 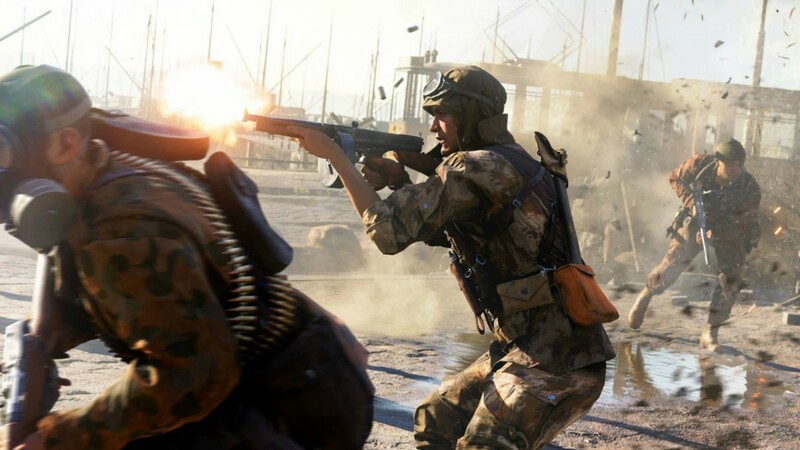 EA's plans to follow the historical trajectory of World War II over multiple theaters of war after the launch of Battlefield V sounds interesting, but it's created a nonstop series of announcements with problematic optics. People are going to gripe when you ship without critical factions, iconic weapons, and famous battles. Most surmise DICE plans to add most of this content after launch because frankly, you'd have to be insane not to release a remaster of the classic Wake Island map from Battlefield 1942. But the continuing cascade of "not at launch" omissions has left many (myself included) wondering if there will be anywhere close to the amount of content a regular Battlefield game has upon release.